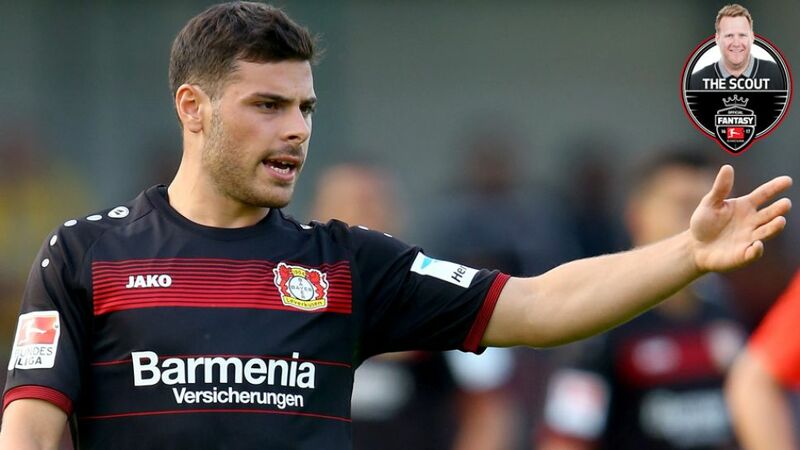 Kevin Volland was one of the first names on Scout Flo's Official Fantasy Bundesliga squad list. The excitement is building, as on Friday, for the first time ever, points will be distributed in the Official Fantasy Bundesliga. For me personally this is the biggest event since the invention of the ball. We are all entering new territory this weekend. And by the way new territory is a key term, because several players will make their debuts for new clubs this weekend. Divided into three price categories, I have outlined, which players you should buy for your team. Not signed up for Official Fantasy Bundesliga yet? What are you waiting for - head here to get started. About Flo: From shoe sizes to the number of goals scored in training, Official Fantasy Bundesliga Scout Florian knows everything there is to know about every single member of the Bundesliga's all-star cast. He claims to have discovered Fritz Walter and Franz Beckenbauer, and now he wants to share his talent-spotting prowess with you. For me personally, Kevin Volland (14m) is the top transfer in this price segment, and I have included him in my fantasy team. The former TSG 1899 Hoffenheim player fits perfectly into Bayer 04 Leverkusen’s system. The left footed striker guarantees goals, assists, and shots on goal, and is therefore a sure-fire point getter. Andre Schürrle, meanwhile, impressed with a strong performance in the first round of the DFB Cup. Schürrle seems to be tailor-made for Tuchel’s system and is therefore worth the 13 million outlay. Mario Gomez would have been highly ranked no matter his value. Being surrounded by the likes of Daniel Didavi, Julian Draxler, and Daniel Caliguri, I'd back Gomez to score by the bucket load. However, Gomez will not be available on Matchday 1, and I would therefore suggest buying him a little later in the season. Matt 'The Expert' will tell you why. Branimir Hrgota remains a top pick after the first round of the DFB Cup. The Swede was the best player for Eintracht Frankfurt, as he managed to score for his new club. You can be certain that Hrgota will score on a regular basis for Frankfurt, and with a price of just 6 million he will be the perfect alternate forward for your fantasy squad. Bobby Wood (8m) is my second choice. The US international appears to be the first-choice striker at the Hamburger SV. Furthermore, Wood should benefit from the service provided by the likes of Filip Kostic and Alen Halilovic. Wood could be an excellent choice if he manages to stay in the starting eleven. Following the two strikers are two midfielders that are not known for tbeing flashy: Kevin Vogt (8m, TSG 1899 Hoffenheim), and Tobias Strobl (9m, Borussia Mönchengladbach). Artjom Rudnevs (7m) is my final choice, as the Latvian striker had a strong pre-season, and is expected to start against SV Darmstadt 98. The reward may out the risk should you choose to put him in your starting line-up.